Dr. Michael Lauzardo has announced that he will be stepping down as Chief of IDGM. Dr. Lauzardo assumed the position of Deputy Director of the Emerging Pathogens Institute (EPI) at the University of Florida on September 2nd 2018. 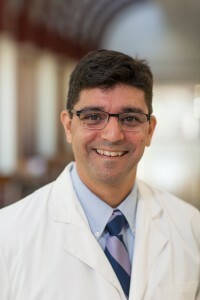 Since 2012, Dr. Lauzardo has served as the Chief of the Division of Infectious Diseases and Global Medicine (IDGM) and has led the effort to expand the clinical infectious disease services as well as the global research and education programs offered through IDGM. He will be remaining in the division where he will continue his work in tuberculosis and global health.